The Coalition for Clean and Fair Elections (BERSIH 2.0) welcomes the establishment of the Institutional Reform Committee by the Council of Elders as a step in the right direction by the new government in starting the institutional reform process as promised in the Pakatan Haparan’s Manifesto. 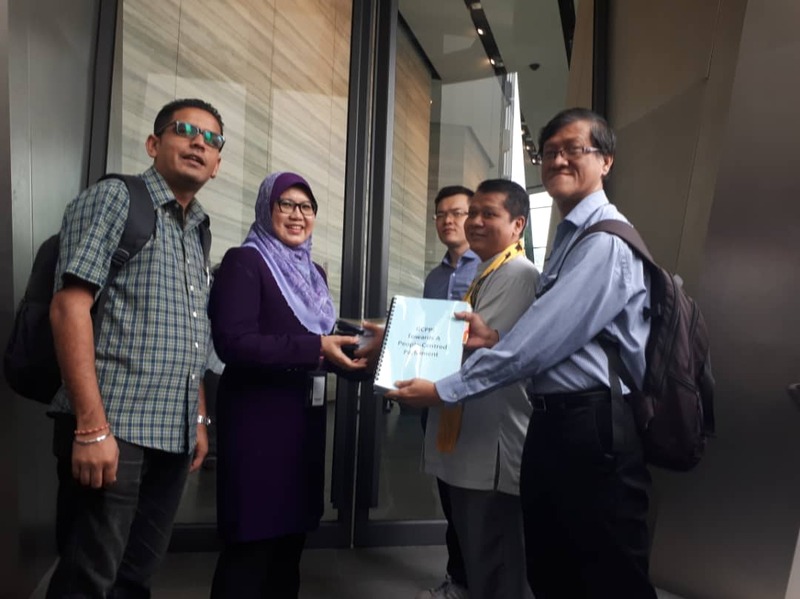 Today, BERSIH 2.0 has submitted to the Institutional Reform Committee an Electoral Reform Action Plan to strategically implement the proposed reforms within specified time frames (please refer to the attachment). While a lot of attention and work has already begun on the 1MDB issue, BERSIH 2.0 emphasizes the urgent need for electoral reforms to also start immediately, with the purpose of bringing about clean, free and fair elections in line with the vision of a new Malaysia as promised by the Pakatan Harapan (PH) government. Despite blatant evidence of all the frauds and mismanagement that took place in the 14th General Election, not a single commissioner or officer of the Election Commission has been held accountable. The chief commissioner Tan Sri Hashim bun Abdullah, his deputy Tan Sri Othman bin Haji Mahmood and the other five commissioners have to this day unashamedly hold on to the position and refused to resign and take responsibility. BERSIH 2.0 reiterates that the most important action to take immediately is to restore the independence and function of the Election Commission, as no meaningful reforms can take place if the present EC members are not removed. The seven members of the EC must resign immediately as they have lost public confidence and are complicit in electoral malpractices. BERSIH 2.0 calls on the Institutional Reform Committee (IRC) and the government to immediately begin looking into the reforms and its implementation within the first 100 days and subsequently the next two years. To kick start the reform process, BERSIH 2.0 calls on the Prime Minister to initiate the process of suspending the Chief Commissioner of the Election Commission, Tan Sri Mohd Hashim bin Abdullah and his deputy, Tan Sri Othman bin Haji Mahmood pending investigation and a complete removal as stated under Article 114(7) of the Federal Constitution. Subsequently, a tribunal should be established to remove all the seven current commissioners in order for a new batch of competent, credible and independent commissioners to take over. Such tribunal could be established by the Yang di-Pertuan Agong, on the advice of the Prime Minister, in accordance with Article 114(7) and Article 125 of the Federal Constitution. Such drastic steps are urgently necessary to ensure that the independence and integrity of the EC can be restored and that these commissioners are held accountable and answerable for failing to uphold the sanctity of the elections.